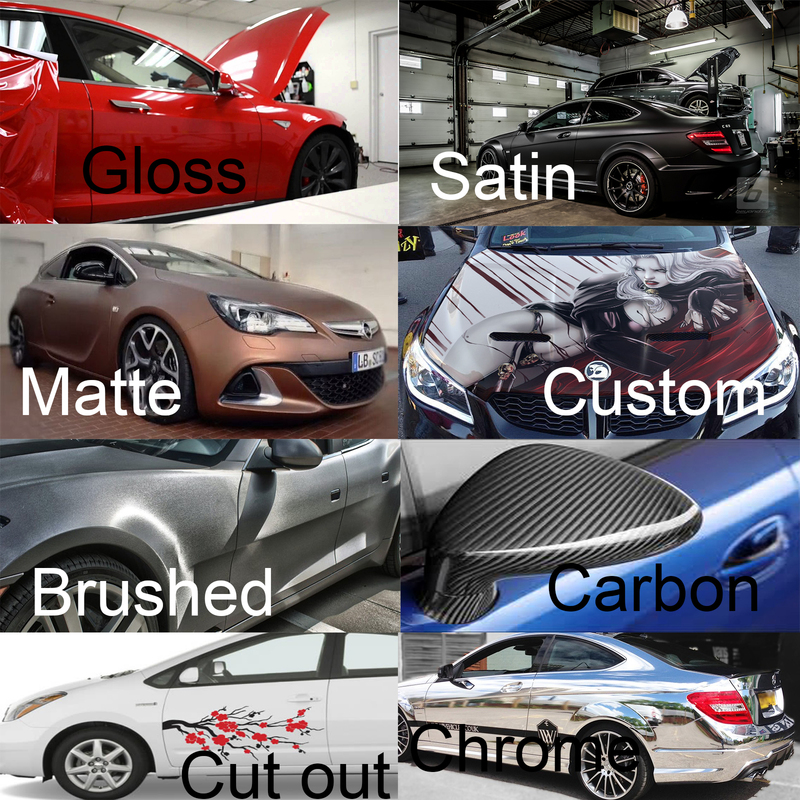 Although almost all wraps are made from a PVC type material (vinyl), there can be a big difference in the different types of wrap you can get. The big diversity of wraps are part of their growing succes. There are several different types of look you can get with a wrap. You can get a matte wrap, a very glossy one or even a custom print. 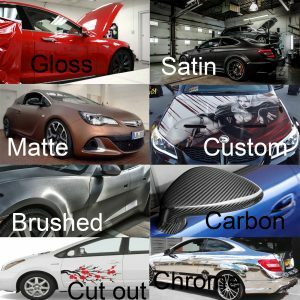 What types of wrap are there? Glossy wrap resembles classic paintwork the most. The finish is smooth and glossy. This wrap can be made in practically every color and is often also available with metallic flakes. The orange peel will be more significant then normal paint work. Satin wrap is more glossy then matte, but not completely glossy. You don’t see clear reflections in the surface, but you will see more light reflected then with a matte wrap. A matte wrap is more matte then a satin wrap and will show very little reflection. It is however fairly uncommon, which is something a good reason for people to go for this finish. There are 2 types of wraps in this form: 1. a wrap with the brushed texture and 2. a wrap with a print of a brushed material. The first version will look the most authentic because it will have much less of a sharp reflection (which is typical for the brushed look). There are 2 types of wraps in this form: 1. a wrap with the carbon texture in and on it and 2. a wrap with the looks of carbon printed on the surface. Both can be made glossy of matte. A custom print can have any image printed on the wrap. This can be things like the look of a rusted surface, a flag, text, a certain type of material or effect etc. These can be made in matte and glossy. Often referred to as decals or stickers, but are essentially the same as a car wrap. A machine cuts out a certain shape from the vinyl wrap. The shape is then applied to the surface in a similar way to applying a wrap. There can be a very big difference in quality between different wraps and different manufacturers. Some wraps are not very glossy, are show huge amounts of orange peel. Others don’t stick well to the surface underneath or suffer greatly from UV damage. 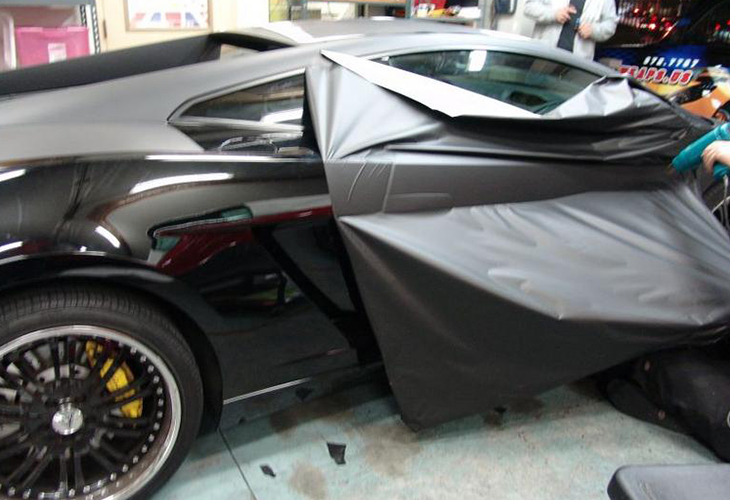 It can be very much worth it to invest in a proper wrap manufacturer. Certain brands have a very good reputation. They might cost a bit more, but you’ll achieve a better effect for longer and with less problems. A cheap wrap can suffer from bubbles that are difficult to remove, leaves residue after removal or is so thin that it can tear when applying.